The Little Prince has been in Singapore for the past few months at the Singapore Philatelic Museum since June 2018. I had the opportunity to visit this exhibition during a media preview and I had a fun time there! This wonderful exhibition brings the young and old into another world through their stories and adventures. At the Little Prince exhibition, visitors would not be able to touch most of the artworks and artefacts on display inside this exhibition! 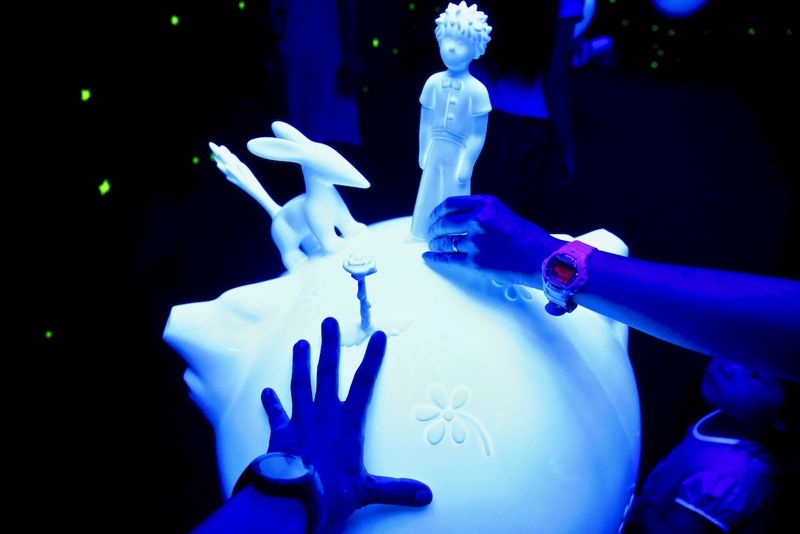 Now, they can, when visitors enter into The Little Prince In The Dark Collection! 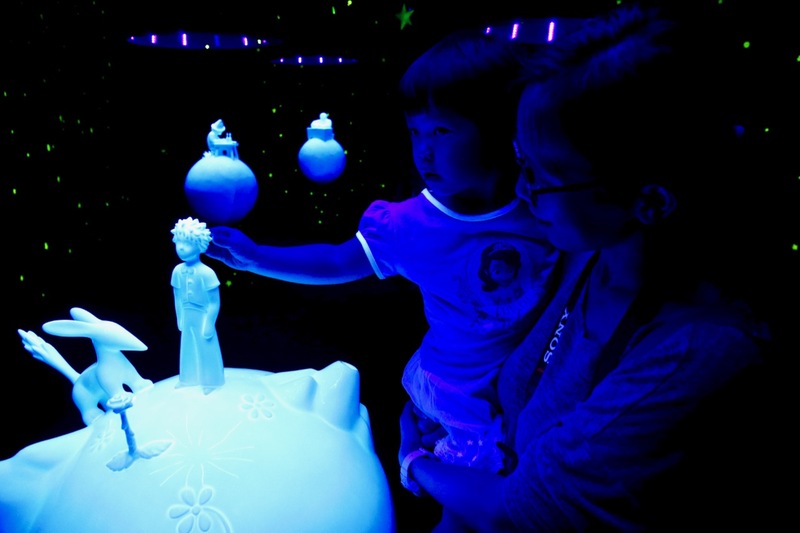 There are six sculptures inside this special dark collection space, you can touch, you can feel, this experiential learning and visit into The Little Prince In The Dark Collection brings your visit to the Singapore Philatelic Museum to an all new level and dimension (for everybody including the blind who can now also “see”, touch and enjoy their museum experience). The six sculptures depict the iconic characters and scenes inside French author Antoine de Saint-Exupery’s Le Petit Prince, a classic book that was first published in 1943. All the hand made and hand painted sculptures were made from fibreglass and resin, coated with marine lacquer and they were created by French artist Arnaud Nazare-Aga. 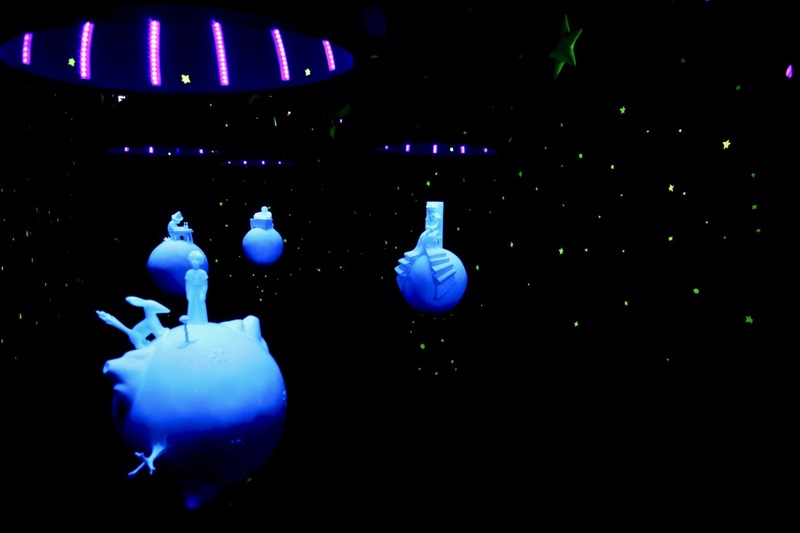 Using UV LED lights shining on the painted sculptures inside this customised dark room, welcome into The Little Prince In The Dark Collection! This is a world famous quote, written by French author Antoine de Saint-Exupery. Upon entering into The Little Prince In The Dark Collection, the feel and connection was beyond my eyes looking into the world of The Little Prince when I touched and felt the sculptures, with my heart and soul. It seems like I was flying away into many different worlds and exploring them, just like The Little Prince. I invite you to visit and enter into The Little Price In The Dark Collection at Singapore Philatelic Museum, touch, feel and immerse yourself with your heart, not with your eyes. Welcome to the world of The Little Prince! You’ve Got Mail at Singapore Philatelic Museum!